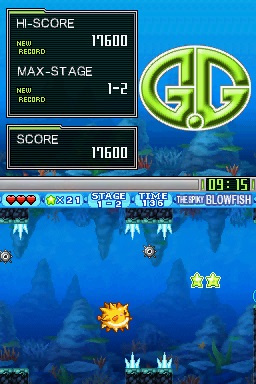 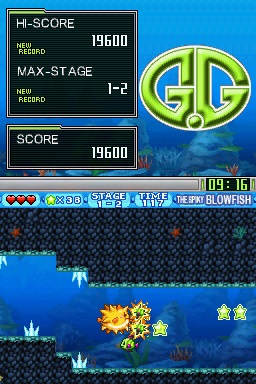 G.G Series THE SPIKY BLOWFISH!! Review G.G Series THE SPIKY BLOWFISH!! 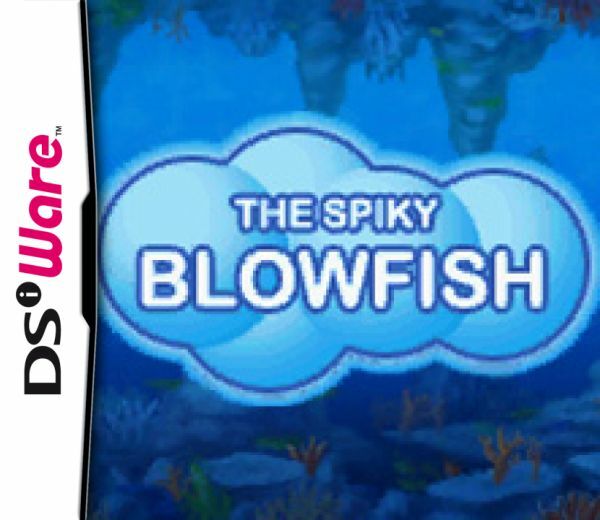 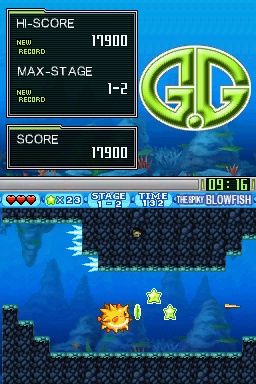 Take control of the Blowfish and proceed throughout the depths of the ocean. 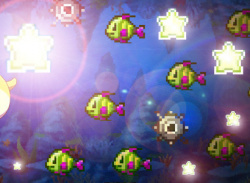 Be careful to avoid the many fish and other dangers you'll encounter on your quest in the deep. 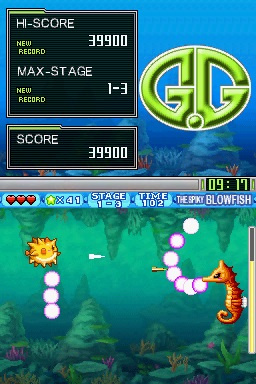 Use your Puffer attack to prevent yourself from sinking and to defeat enemies who are close by, and your Spike shot to hit targets that are further away. 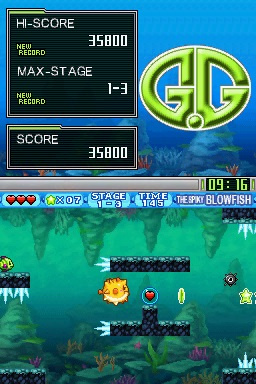 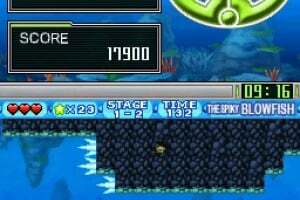 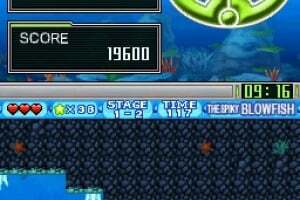 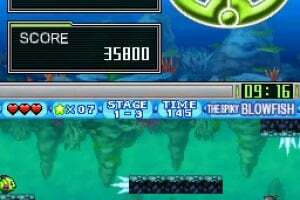 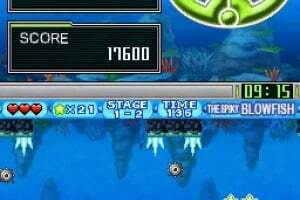 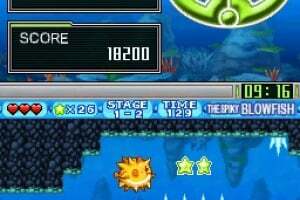 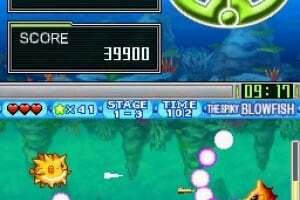 Swim carefully but don't let the time run out before you reach the goal at the end of each stage. 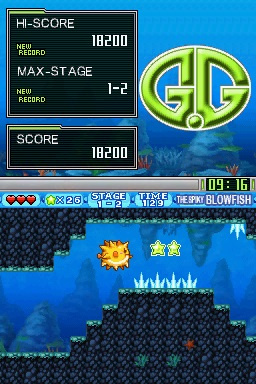 Every few stages a large boss lurks in wait, so conserve your health and collect hearts whenever you can on your adventure as the Spiky Blowfish!